Most of us use make up brushes most days, in fact we probably have some sat on our dressers right now! But the thing is, there are so many different brushes coming out that these days, they start becoming a little daunting. What brush is this for? What sponge do I use for this product? Well today I am going through my collection and explaining exactly what they all do! UBU Kabuki Brush* – Dust into your powder, tap off the excess and work into your face, using small circular motions. 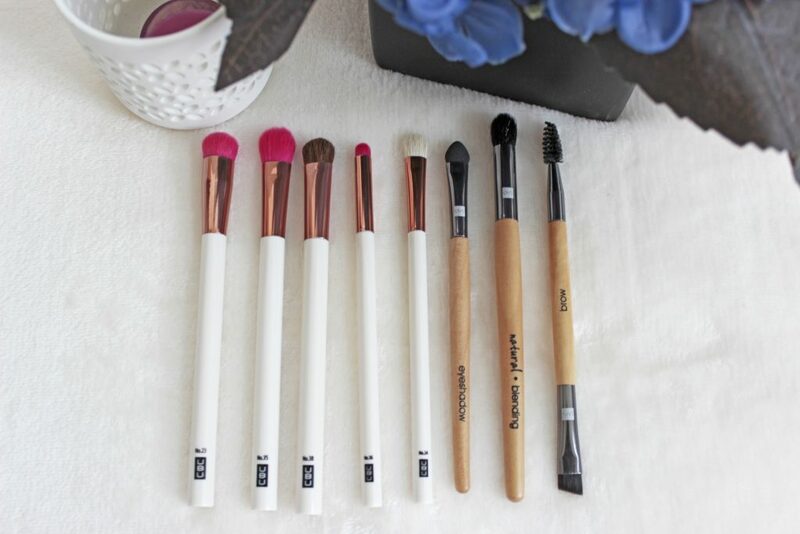 These brushes are fantastic for applying and blending powder foundation and blusher. UBU Picture Perfect Professional Stippling Brush* – This is used after you have applied your base. Do not use this for applying liquids or powders, use this one for blending. It works to give you an airbrushed, flawless finish. UBU Super Softy Extra Large Extra Soft Powder Brush* – Dust this large brush over your powder, tap off any excess and work over your face and neck. This is perfect for powder foundation, bronzer and shimmer. Plus it is super soft! UBU Glow Stick Foundation Brush* – With this one I suggest putting the foundation on the back of your hand, and dipping the brush into the foundation. Use light stokes and work the product over your face from center to edge. QVS Flat Top Blusher Brush* – Can be used for powder, cream and minerals. This brush gives a beautiful airbrushed finish and can accentuate cheekbones with a lovely subtle colour or a contour. Use small circular motions to apply blusher building the colour up slowly – I also love it for applying foundation! QVS Compact Powder Brush* – Gives medium to high coverage and is perfect for powder. It will apply powder evenly over your face and a little powder goes a long way with this brush. Great for powder foundation, blusher or bronzer. QVS Perfection Brush* – Perfect for cream and liquid. The larger head is used for foundation and the smaller head is for concealer. To use the foundation head either apply the foundation to the back of your hand or straight onto the face. Then brush and pat the liquid into the skin. For concealer, dab your brush into your pot and gently dab into the eye area to cover dark circles. QVS Angled Blusher Brush* Gives a sheer to medium coverage. For use with powder and highlighter. Dip into the powder and tap off excess, then gently sweep the colour from the apple of your cheekbones to your hairline. As an added tip, if you put two fingers against your nose, this is where your blusher should start. Plus it helps you to actually look younger, by applying blusher right up next to your nose you can appear older. For highlighter apply at the highest point of your cheeks underneath your eyes. UBU Smudge Kitten Domed Smudger Brush* – This does exactly what it says on the tin. After applying your eye shadow and eyeliner, smudge the two lines together with the brush head. UBU Kitty Saint Fluff Smoothing Brush* – Another great versatile brush here. This can be used for blending mid to light tones over darker shades. It can also be used for blending concealer and smoothing out eye primer. UBU Eyemazing Tapered Blending Brush* – This is very versatile and can be used for applying eye shadow or for blending. You can even use this for sweeping a gorgeous highlighter below your brow bone. UBU Oh My Eye! Detail Brush* – Get shimmering sparkly eyes with this brush, by adding glitter to the corner of your eye. UBU Smoochy Smooth Cream Shadow Brush* – The perfect brush for cream eye shadows! Dab into your cream eye shadow and sweep all over your lids, blending at the edges and finishing by pressing it all into place for longevity. QVS Essential Eye Set* – A great set of three brushes. The eye shadow applicator is used for definition and contouring for that heavier, vibrant look. Use damp for the heavier look. The blending brush is used for blending in multiple shades from your lash line to your crease line. This is great for powder and pigment shadows. The brow brush, it is dual ended and has a brush for defining eyebrows using your brow powder and a nifty comb for brushing your brows into place. UBU Wicked Winks Eyelash Curler* – Slip your lashes through and gently clamp together for 30 seconds, release and slide your lashes out. Quick and easy way to get longer looking, curly eyelashes. Be warned, never use these with mascara on as you run the risk of your lashes breaking in half, and nobody wants that! 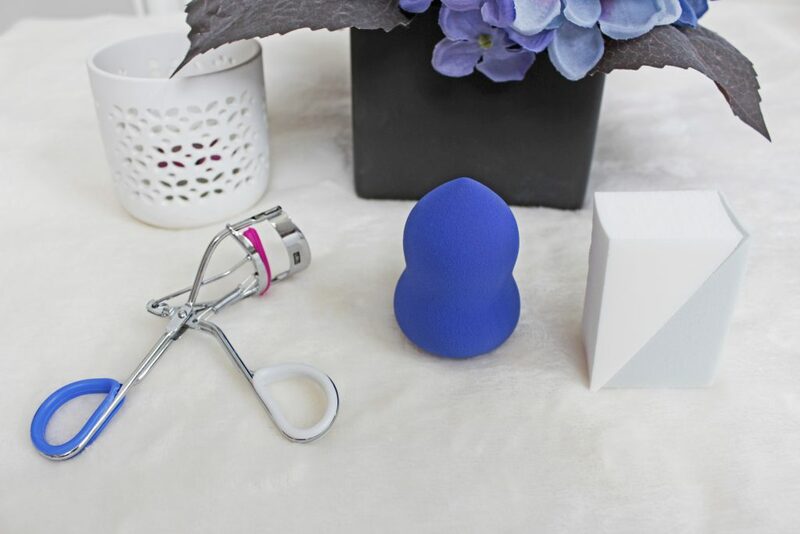 UBU Blender Baby Foundation Sponge* – Use damp for a flawless look. Use to blend powder, liquid or paste foundations. Gently dab your foundation to blend for a streak free, flawless base. QVS Sponge Wedges* – These sponges are fantastic at applying and blending, also for getting into those hard to reach areas. Put your liquid foundation onto the back of your hand and dab onto the sponge, then gently blend into your skin, using the pointed tip for areas such as the eyes and nose. 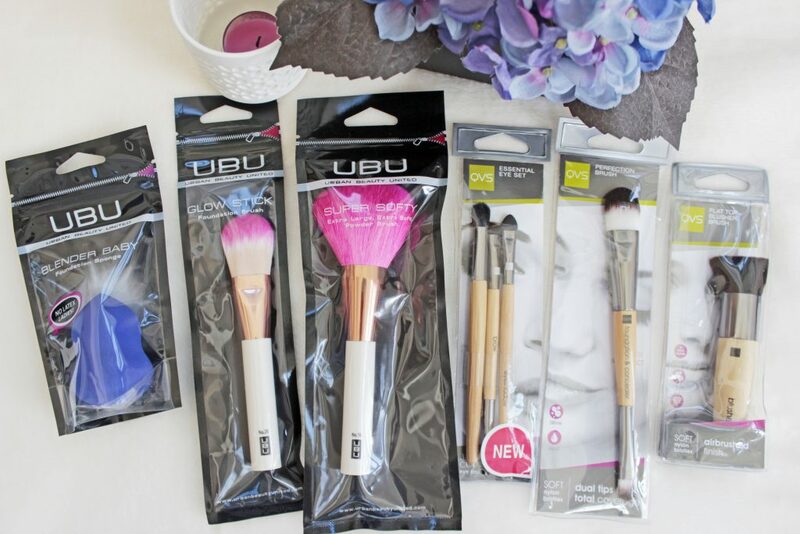 I would like to say please do not be put off by the packaging, it may look boring and something you may not necessarily pick up off the shelf, but trust me these brushes are all such high quality. I have used brushes in the past that were said to be high quality, however after using these, the one thing I noticed more than anything was just how flawless the finish was. My eye shadow’s all went on so much better with these, the colour was much more vibrant and brighter than with my previous brushes. These are a definite must buy for me! You can find the whole QVS and UBU range on Amazon! 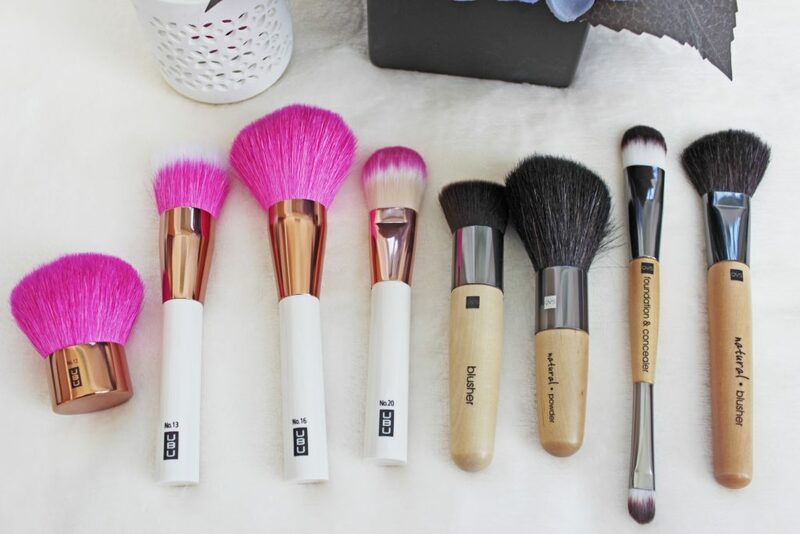 Do you have brushes in your beauty bag you don’t use? 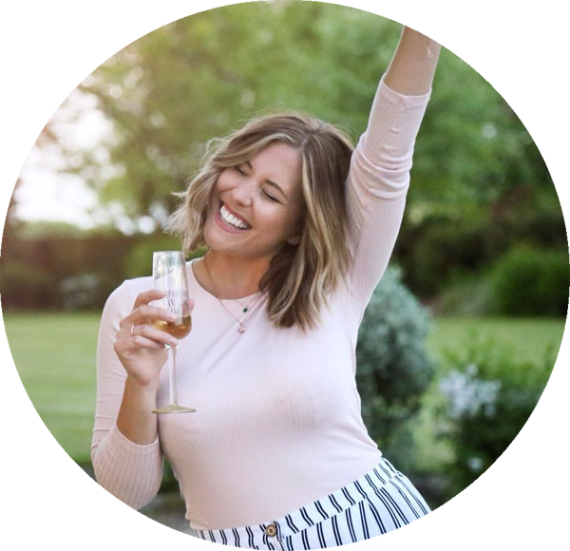 Caroline also writes over at Tea and Beauty!